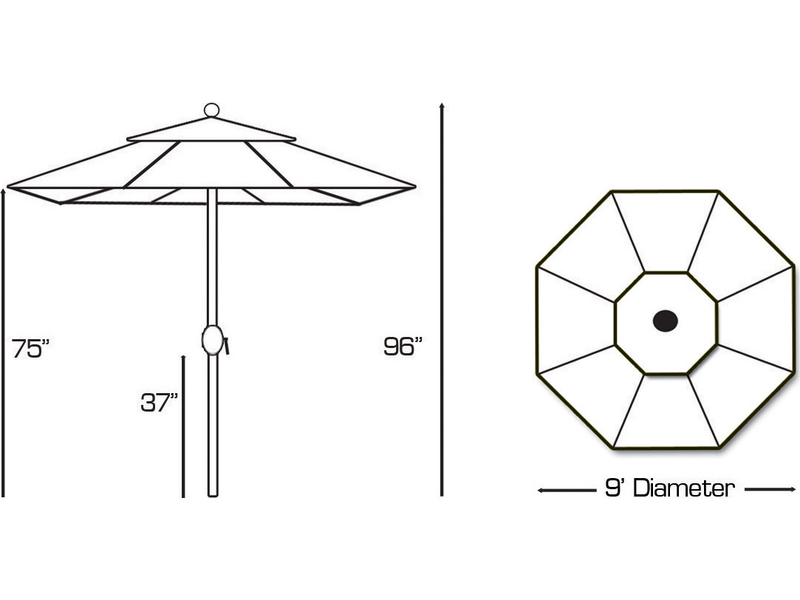 The optimal shade coverage: is up to 54'' tables. 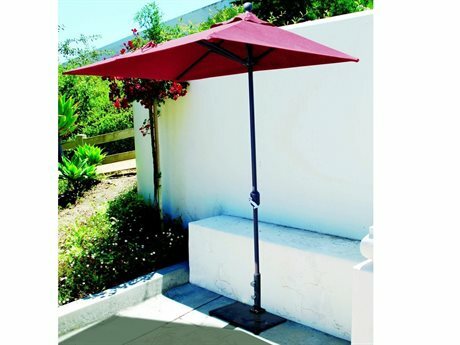 Fiberglass ribs will bend and flex in windy conditions or if umbrella were to strike the ground. 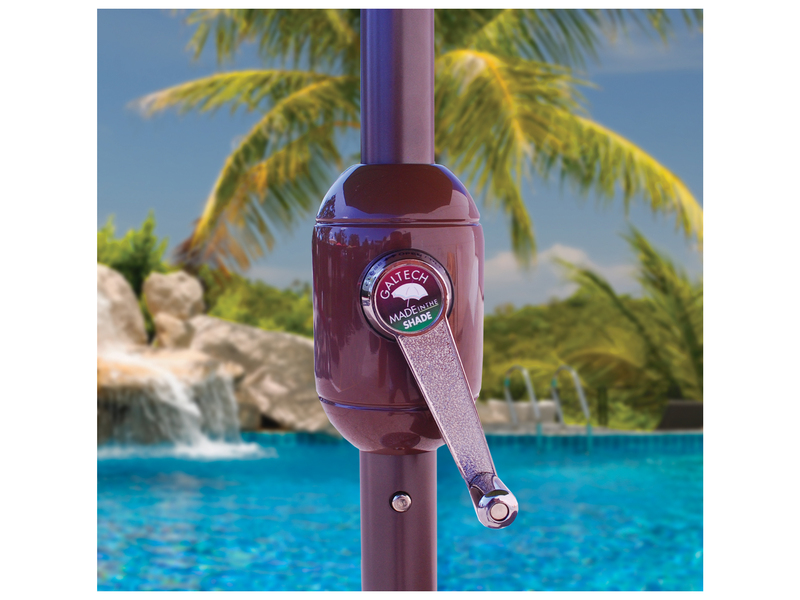 Dura-Tilt system relies on a dual sided button that slides downward to operate the manual tilt. 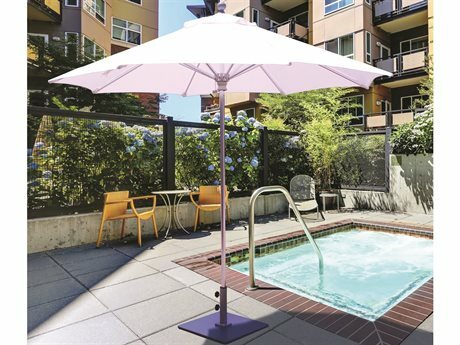 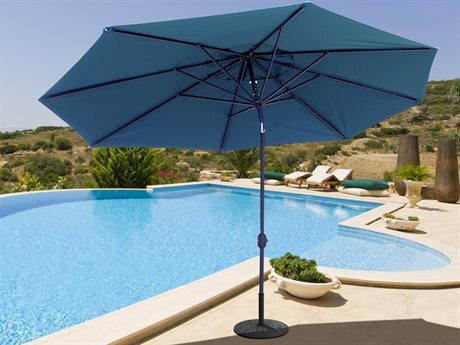 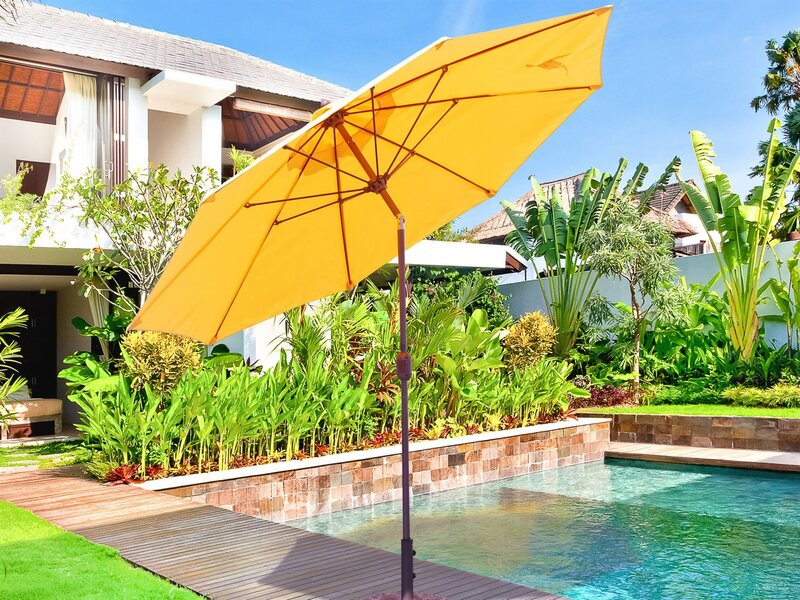 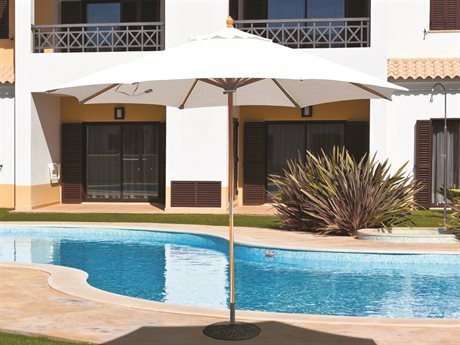 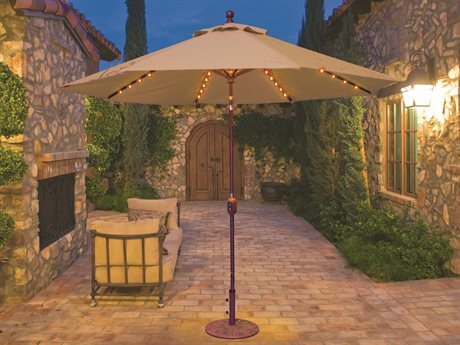 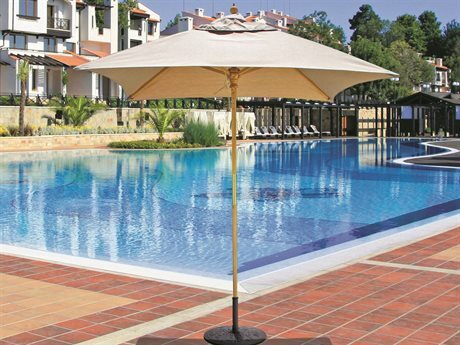 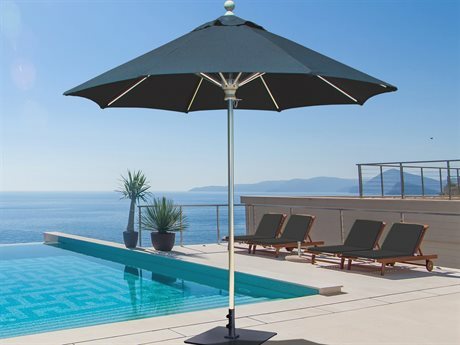 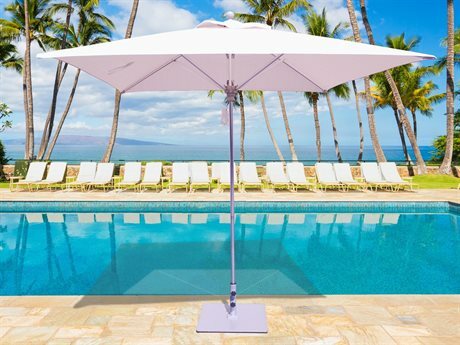 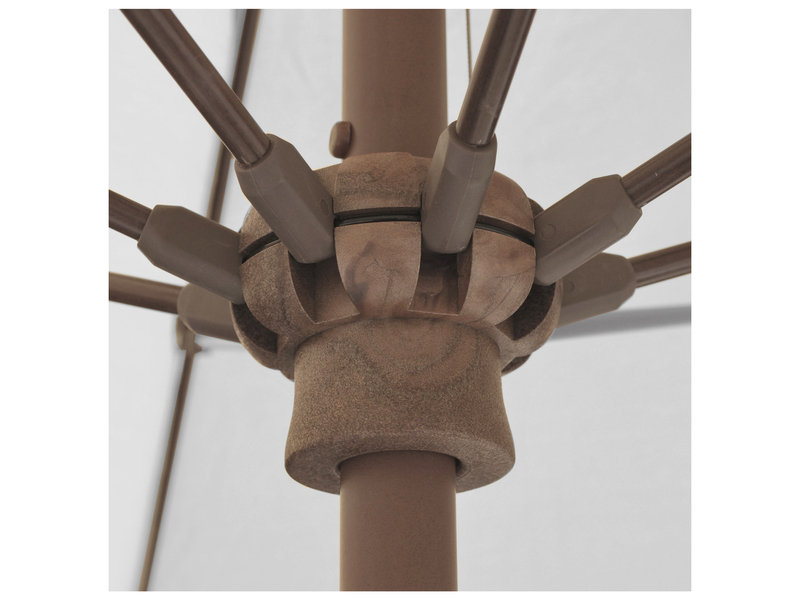 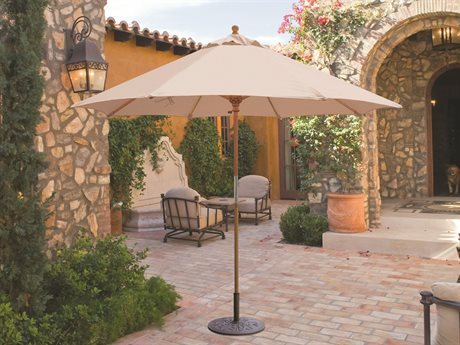 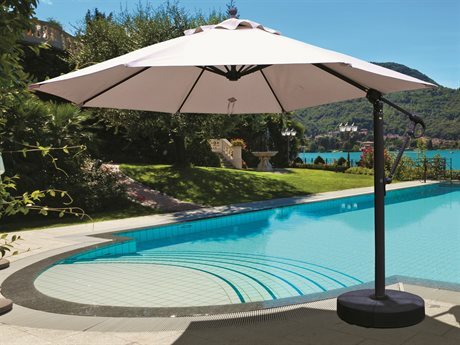 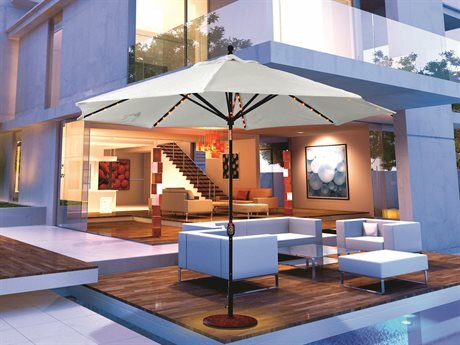 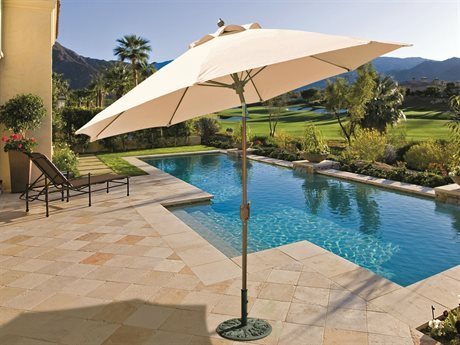 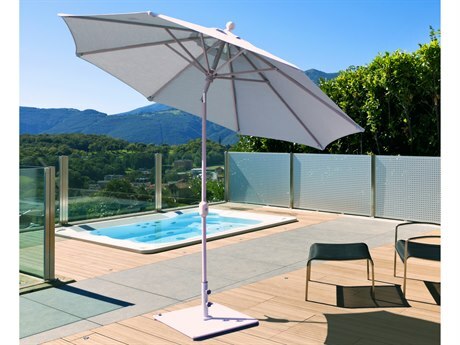 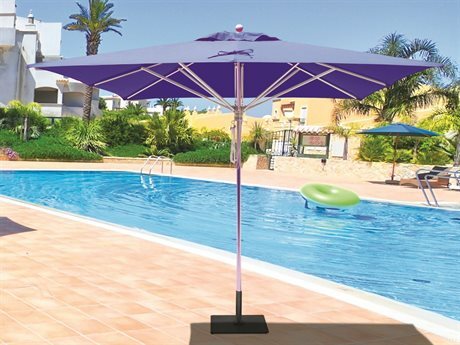 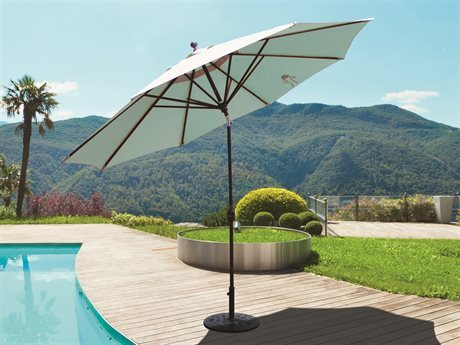 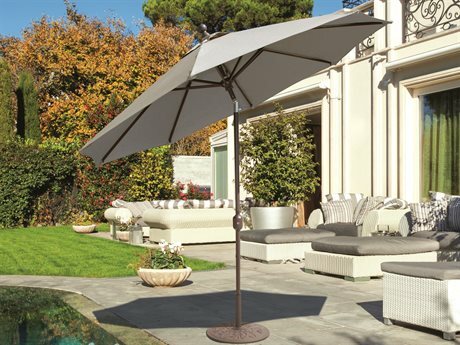 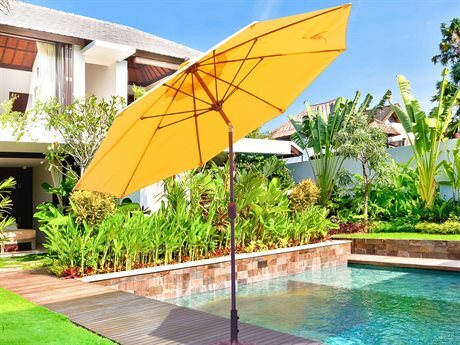 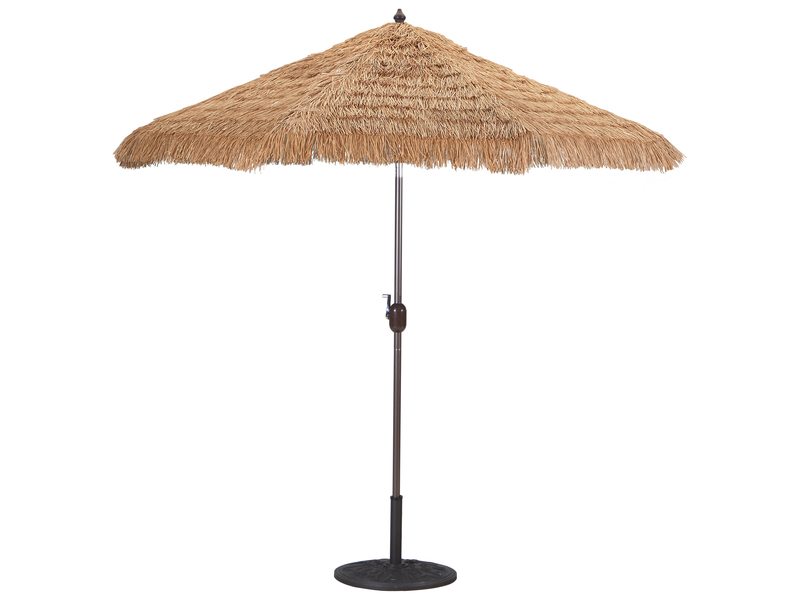 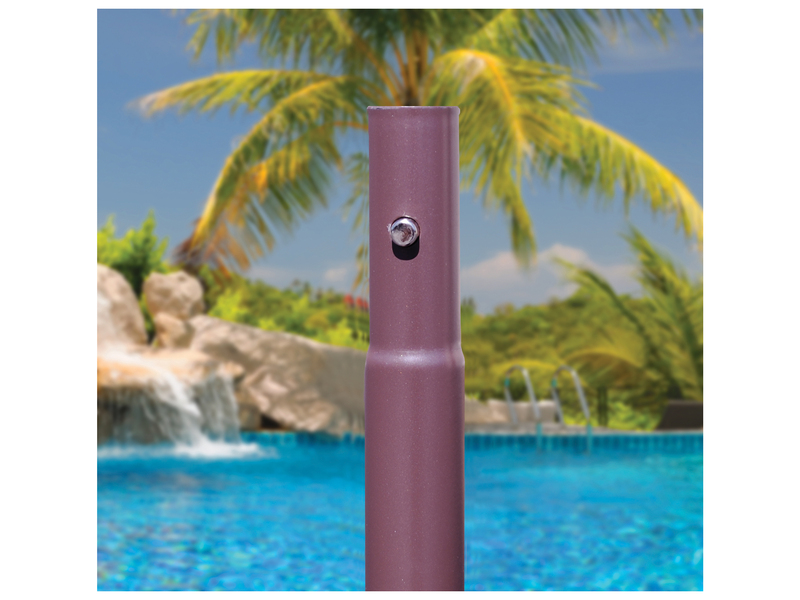 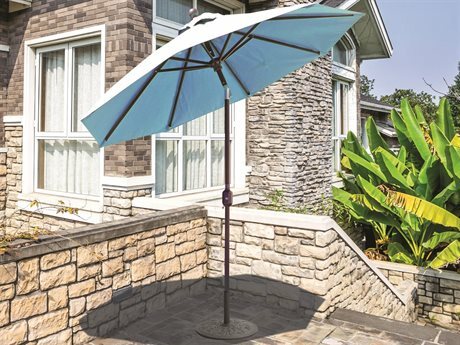 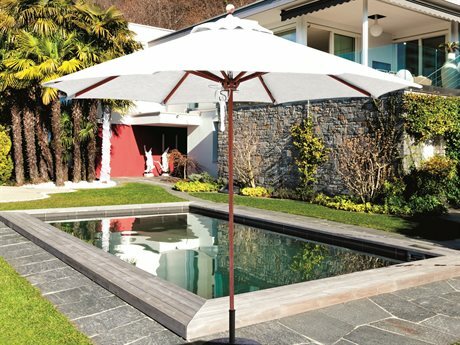 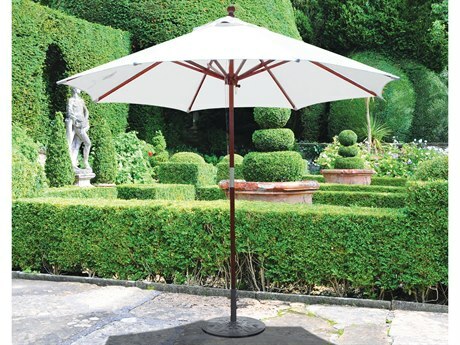 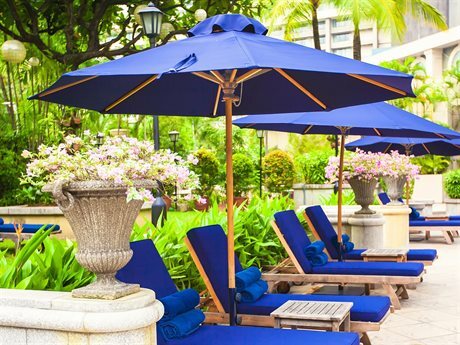 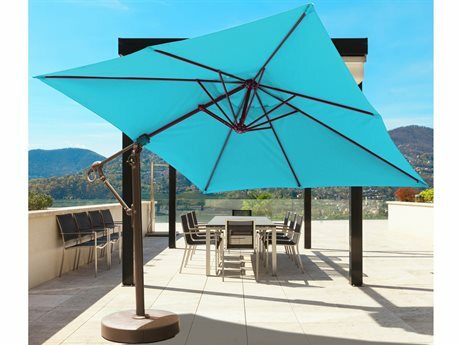 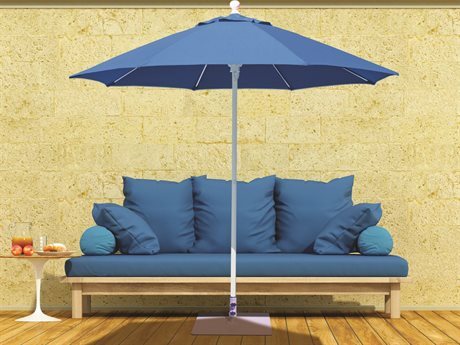 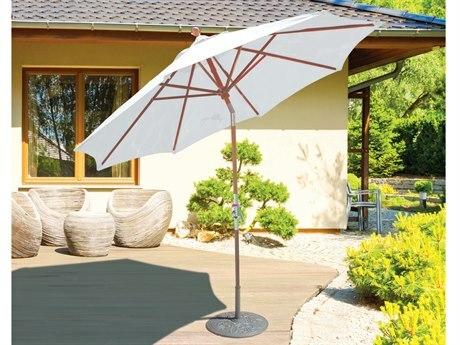 The Dura-Tilt mechanism enables the umbrella to tilt in either direction. 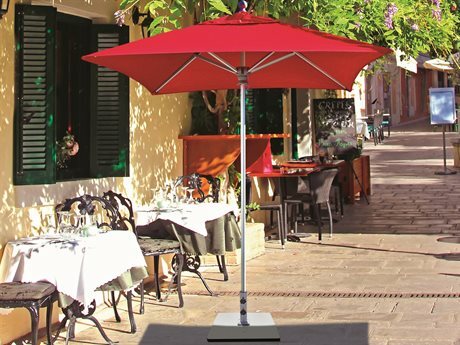 I have 4 of these now, 2 of them about 7 years and still function well. 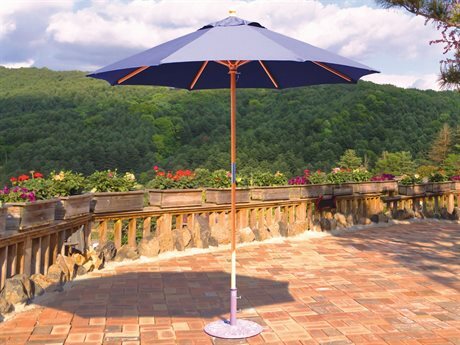 The older ones, orange) did fade over a few years, but the new ones look great.